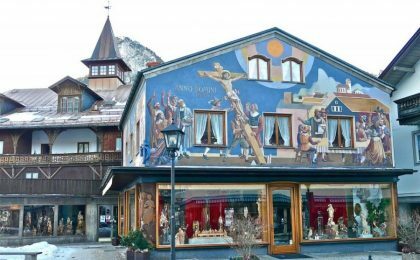 This special pilgrimage to Oberammergau is offered with Church Times readers in mind. As advertised in the Church Times, our pilgrimage features an exclusive drinks reception, we will be escorted by a Church Times representative, and worship together in a local Austrian church; promoting a real feeling of sharing and togetherness during this landmark Christian event. 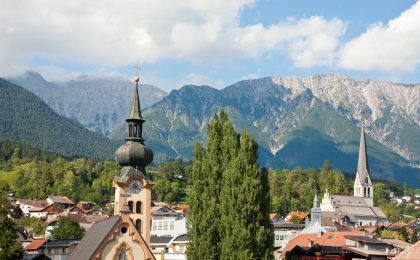 Our one week holiday based in the village of Arzl, includes a visit to Innsbruck and Stams' Abbey, along with a day in the mountains in the Oetztal Valley. We meet at our departure airport for our flight to Munich. 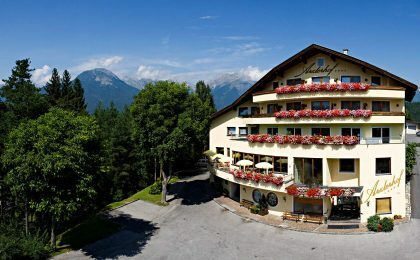 Three hour drive to Arzl and the Arzlerhof hotel, our base for the week. A day to enjoy the scenic beauty of the Tyrol on our tour through the Oetztal Valley, accompanied by a local guide. Depart at 9:00am for the 90-minute drive to Oberammergau. Only an overnight bag will be required as we do not need to check out of the Arzlerhof Hotel. On arrival at our overnight accommodation we will be met by a McCabe Travel representative. After checking in and before lunch (included) there will be free time to explore. In the afternoon and evening we attend the Passion Play, with dinner during the interval. Morning free to explore the village and have lunch. In the afternoon we return to Arzl visiting Ettal Monastery en route. 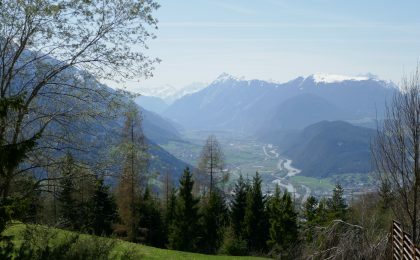 An opportunity to attend the local church and perhaps visit nearby Imst, or join a guided walk from the hotel. McCabe will provide us with ideas before we travel. 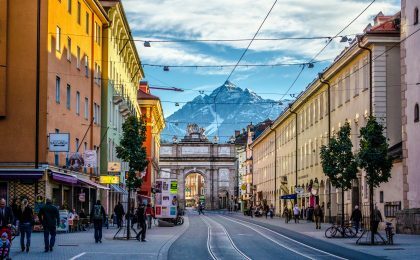 Today a local guide joins us for a coach excursion into the Inn Valley, visiting the Tyrolean capital of Innsbruck and Stams Abbey. Weather permitting, we will also take a walk along part of the Jacobsweg, which goes through the valley en route to Santiago de Compostela in Spain. 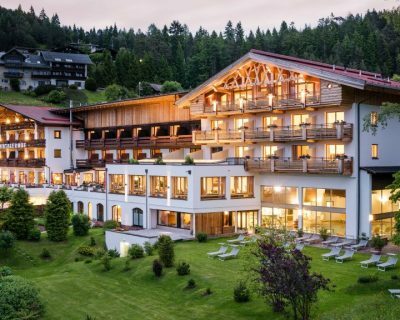 Enjoy a Tyrolean evening at the hotel. In the morning a local guide will lead us on a walk and introduce us to the local area. 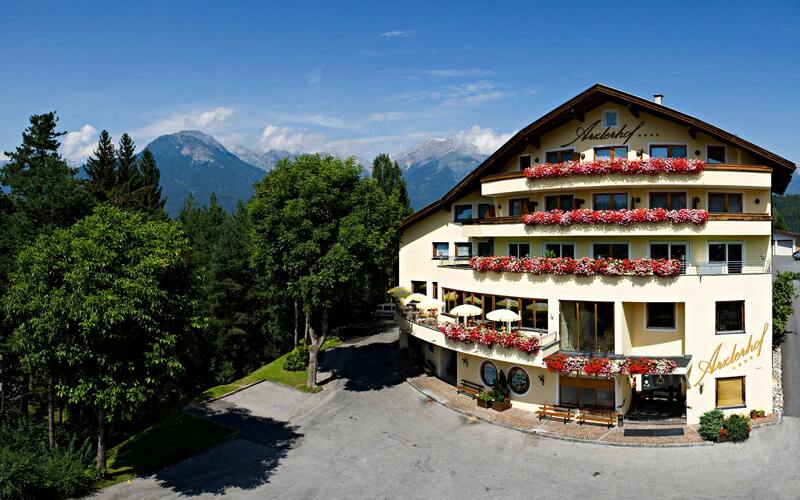 The afternoon is free – perhaps visit nearby Imst or relax and enjoy the hotel spa and gardens. We will provide you with plenty of ideas before we travel. We leave Arzl in the morning for the three-hour drive to Munich airport. Our homeward flights generally depart at around 1600. 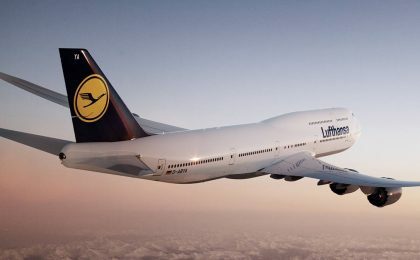 Flight details are subject to confirmation in Summer 2019. The Arzlerhof Hotel is in a quiet location overlooking the village surrounded by mountains. This is the hotel to choose if you enjoy hiking, as every day a guided walk leaves from reception (Small local charge). The hotel has an excellent indoor swimming pool and spa area, and garden bar in fine weather. Rooms are double or twin-bedded, with bath or shower, wc, television and balcony. Our Tyrol hotels are all located less than two hours from Oberammergau, so ideal for seeing the Passion Play in the middle of your holiday. A feature of the one night stay is that you do not need to check-out of your room when you travel to Oberammergau. Leave your main baggage and travel to Oberammergau with a light overnight bag. Journey time is less than two hours and your Oberammergau experience is a relaxed two days. On a one night stay, you arrive in the village in the morning, check-in to your accommodation and lunch is included in your allocated restaurant. 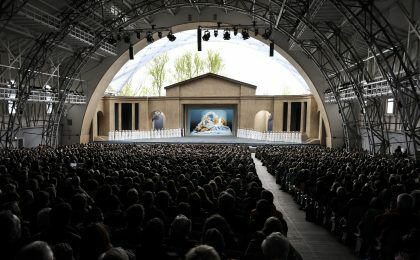 Afternoon and evening, enjoy the Passion Play with dinner included in the intermission. After breakfast the next morning, you have the best part of the day to explore the village before returning to the Tyrol for dinner. Previous guests have particularly liked the opportunity to share their Oberammergau experience in the remaining days of the holiday. Your holiday price includes a top grade Passion Play ticket. We plan to publish a supplementary brochure six months before the performances commence. By this time, the cast will have been selected and rehearsals will be underway. We will introduce you to the principal players and tell you something of their backgrounds, as well as updating you on preparations in the village. Accurate flight schedules will also be available and we will confirm the flight times for your holiday. We will also present a detailed itinerary for each holiday and ideas for independent exploration. A limited number of single rooms are available and we will try and accommodate single room requests. We do accept bookings on a room share basis where we will try to find a person to share with you. If numbers don’t match up and we are unable to find a share for you, a single room will be allocated and only half of the supplement charged. We recommend that you wait to take out travel insurance until you pay the second deposit in 2019 as it is difficult to effect travel insurance more than 12 months in advance. We will offer a policy when we request the second deposit, designed to give cover for both deposits, but do shop around. An annual policy may be a good option. The distinction between double bedded and twin bedded rooms in both Austria and Oberammergau is sometimes not clear. A traditional twin-bedded room consists of one bed frame with two separate mattresses and separate duvets. We have contracted our resort hotels on the basis that we have a good number of rooms where twin beds are properly separated, and these will be allocated as a priority to guests requesting room shares. In Oberammergau, we don’t have the same control and occasionally the traditional style beds will be allocated. We can often be creative in solving this problem, for instance by adding a third bed to the room. This difficulty is generally only for the one or two nights you will be in Oberammergau itself. McCabe holidays give full financial protection to the traveller. Holidays including flights are financially protected by the Civil Aviation authority. The McCabe ATOL number is 2920. Any holidays not including flights are also financially protected by McCabe’s membership of the ABTOT bonding scheme. We are required to pay in advance for our Oberammergau arrangements. This is the reason we are requesting larger than normal deposit payments. We ask for an initial deposit of £200 with a second instalment of £400 payable in May 2019 enabling us to fulfil our commitment to the village. If you have to cancel, for whatever reason, before the end of April 2019, we will refund you in full. After this point, our normal cancellation conditions will apply. This is also the point when travel insurance can start taking the risk and you will be able to claim a refund, if for instance you cancel for unforeseen medical reasons. 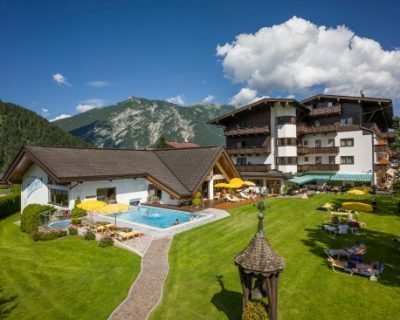 Our holidays include one or two night’s accommodation in and around Oberammergau and a top grade ticket for a performance of the Passion Play. We have selected Grade C accommodation and most of our guests will be accommodated in guest houses within walking distance of the theatre. In order to manage the limited resources of the village effectively, the Passion Play committee provide a package including allocated accommodation, restaurant and play ticket. Other extras included are the local bus service, museum entry and a textbook for the performance. To give you an idea of the premium prices being charged. A performance ticket costs about £170 and a double room in Oberammergau costs more than £230 per night with singles being charged between £150 and £200 depending on the room size. We are publishing our prices two years in advance, and in the middle of Brexit negotiations. We have agreed prices with our partners but there is a lot of uncertainty just now about our future trading relationship with Europe and especially regarding currency exchange rates. Our prices are based on £1 = 1.15 Euros. If this changes significantly, it could affect the price of your holiday. We have factored in expected increases but we reserve the right to pass on unexpected ones. The key areas that would trigger a price change are the value of our Pound as explained above; a sharp rise in the cost of oil; rampant inflation in Austria leading to higher hotel prices; any new travel taxes. We will absorb the first 2% of any increase, and in the very unlikely event that the price increases by more than 10%, you have the right to cancel and receive a full and prompt refund. We plan to contract our currency requirement a year before the season starts, and at this point we will guarantee that the cost of your holiday will not change. The McCabe Oberammergau programme was published on 8 March 2018 for holidays during the year 2020. An Oberammergau booking form with a summary of booking conditions was published at the same time.